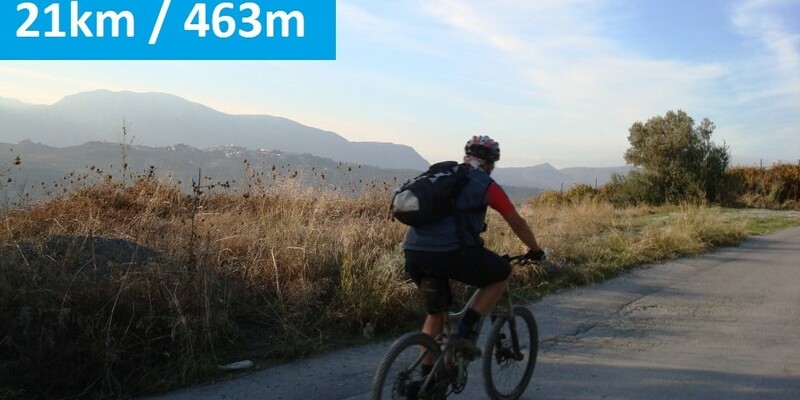 Easy and short mountain bike tour close to Heraklion ideal for those who are begginers to the sport or do not want to drive many kilometers by car. 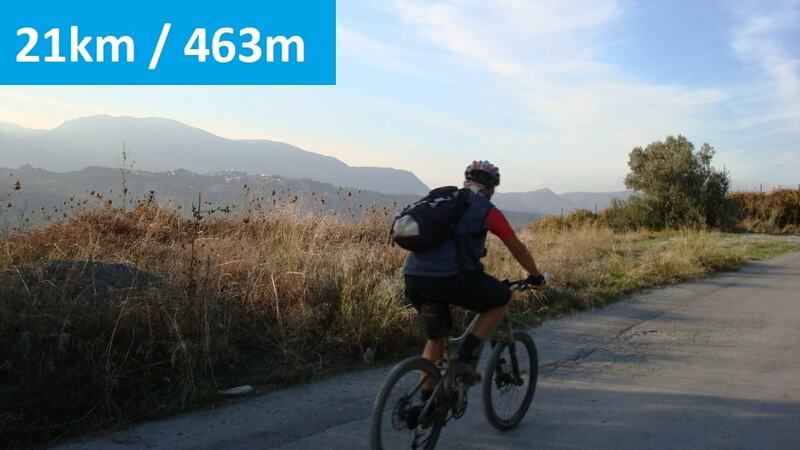 The route follows main rural roads with moderate slopes in a fertile area full of vineyards and olives groves. For those who get tired quickly there are many shortcuts to shorten the route. 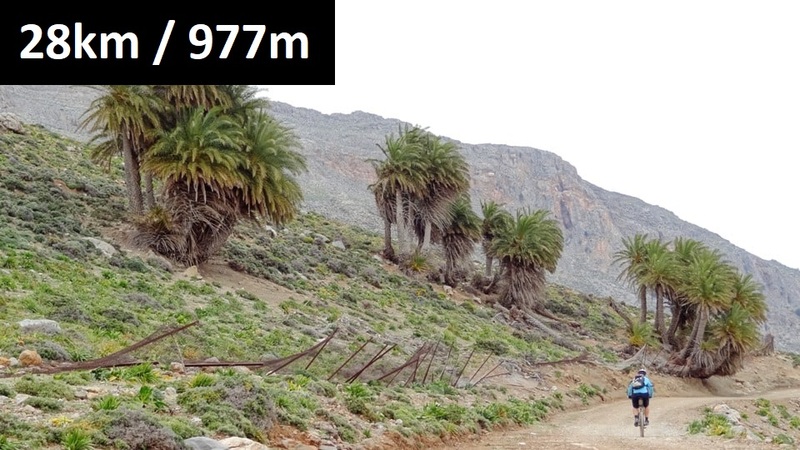 Xerolia is a settlement that belongs to Agios Myronas village. In the past the area was full of vineyards and many families moved here until the harvest was completed. Today in the small settlement live some farmers families all year round, unfortunately there is no cafe. 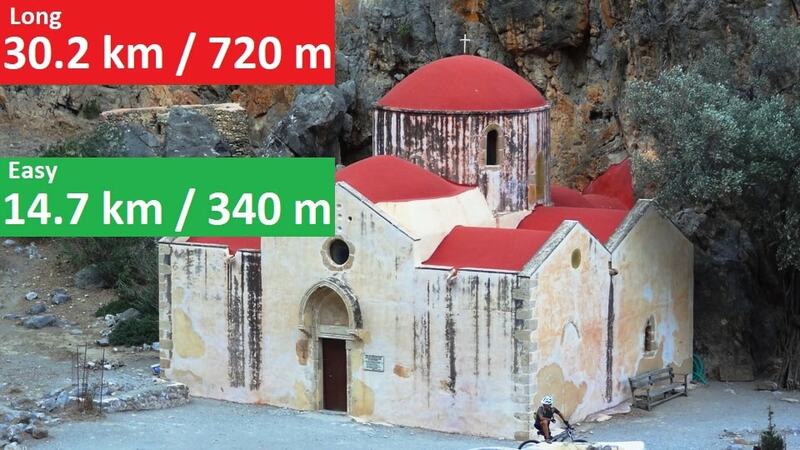 On St George's Day in April the people of Agios Mironas come here to celebrate the the saint and do a fiesta, although in Agios Myronas village there are three churches of the saint. Throughout the tour there is no water, it is advisable to take two bottles. At Xerolia settlement there is water, but we are not sure that you will meet someone to offer it. 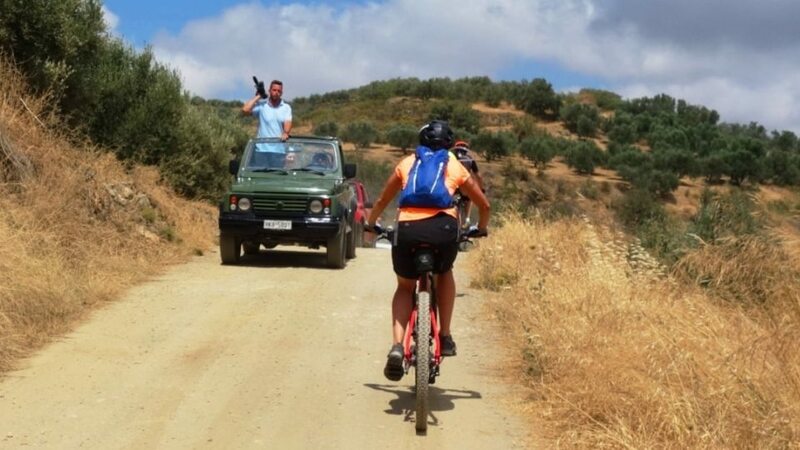 We recommend to start the tour after the Finikia village to avoid cycling on the narrow street as many trucks are passing and there are many stray dogs until here. 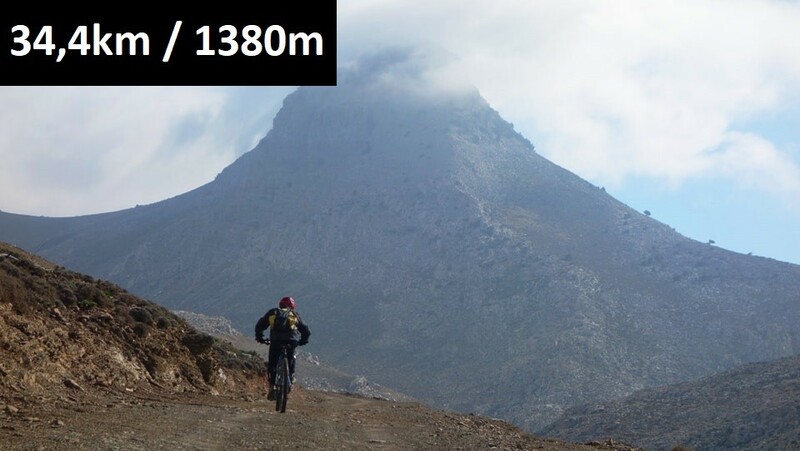 We do not recommend this route the rainy days because of the like glue mud at some places.